For some people, Disney is everything. So for them, getting married at Disney World is like winning the lottery. And you’ll basically need to do that, too, if you want to get married there — because it costs a TON. I always imagined Disney weddings were expensive, but I didn’t know just how pricy they’d be. Then Carlye Wisel infiltrated the world of Disney brides (DisBrides) and wrote about the costs for Racked, and they blew my mind. Keep reading to see the ludicrous prices for yourself. How Much Does a Disney Wedding Cost? 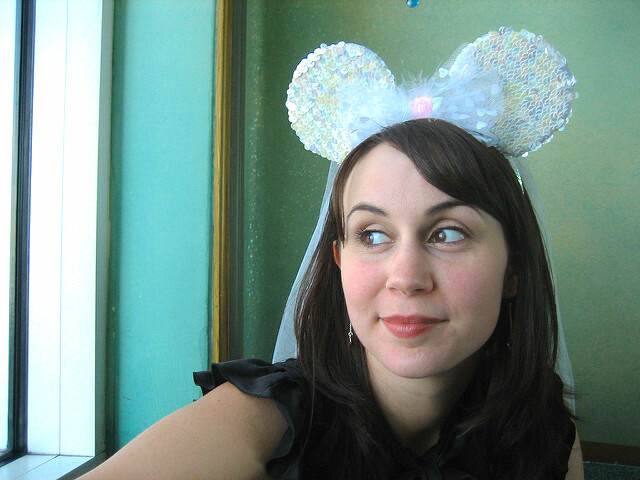 Disney weddings are a big business. So big, in fact, Disney has an entire branch devoted entirely to them. “Disney Fairy Tale Weddings & Honeymoons aids in facilitating the 5,000 Disney nuptials that occur each year at Walt Disney World in Florida, Disneyland in California, Disney’s Aulani resort in Hawaii, and aboard Disney Cruise Line ships, as well as ceremonies and celebrations at international Disney parks,” Wisel writes. The $125 per person rate is for “brunch”– a wedding that starts at 7:30 a.m. If you want to get married at dinnertime, it’ll cost you $175 per person. Oh, right. And the venue isn’t included in the ceremony fee. That means — not counting the dress or rings — you’re looking at nearly $25,000 for the bare minimum required by most couples. But what if you want any fun stuff? I mean, come on, it’s a Disney wedding. And if you want to wear your gown in the Magic Kingdom during operating hours — rather than before opening or after closing like other brides — you’ll have to shell out a minimum of $75,000 for the wedding, according to Wizel’s investigation. For the DisBrides community, though, these extravagances are worth being wed in the happiest place on earth. “From now on, every vacation that we take to Walt Disney World will allow us to relive the happiest times of our lives, while also making more beautiful memories,” one Disney groom told Wizel. And really, that’s a beautiful thing. Some would even say priceless. Your Turn: Do you dream of getting married in Disney World?